First-time homebuyers are shifting housing industry standards when it comes to home design preferences—and, according to the latest Home Design Trends Survey by the American Institute of Architects (AIA), one of the most significant changes is the end of the era of expansive property and square footage. Small, simply, is the new big. “With younger households that are increasingly entering the market looking for more affordable options, home sizes appear to have peaked for this economic cycle,” said Kermit Baker, chief economist of the AIA, in a statement on the survey. Smaller homes are generally more affordable, which is key for many first-time homebuyers squeezed by high home prices and student debt. 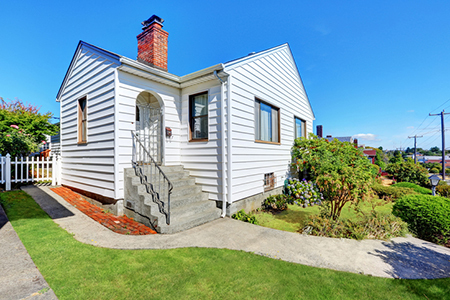 Small homes, however, are scarce in most housing markets.